We'd like to welcome Interior Stylist, Louise Parker of Studio Gabrielle back to our blog as she shares her forecast on the latest trends, products and materials for A/W 2017. Just like fashion, interior trends are constantly changing, even between seasons. Louise Parker will be describeing 5 key trends informed by international projects and 2017’s design shows in Milan, Paris and Stockholm. 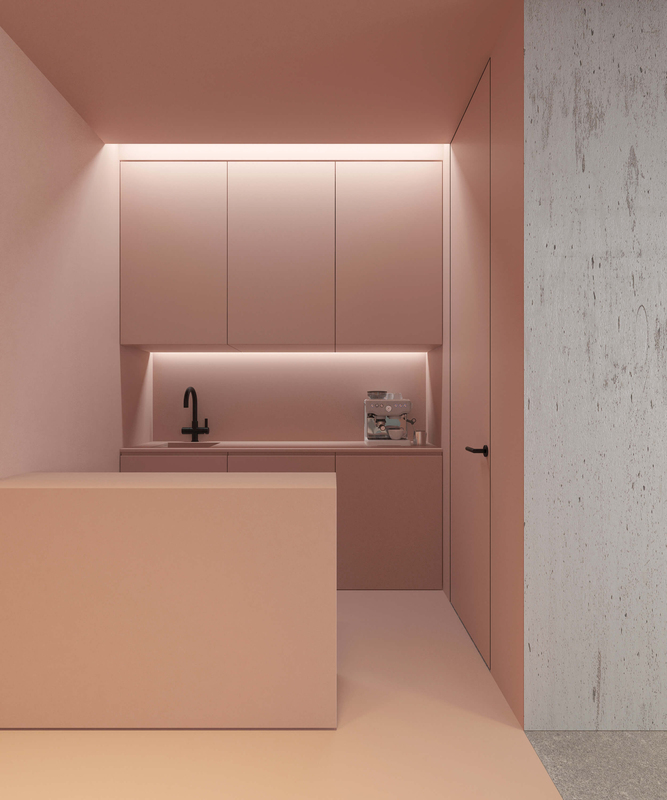 This weeks blog is showcasing Millennial Pink. This season, colour is less pop and more sophisticated. The infamous ‘millennial’ pink has increased in popularity since Pantone’s Colour of the Year 2016 ‘Rose Quartz’. 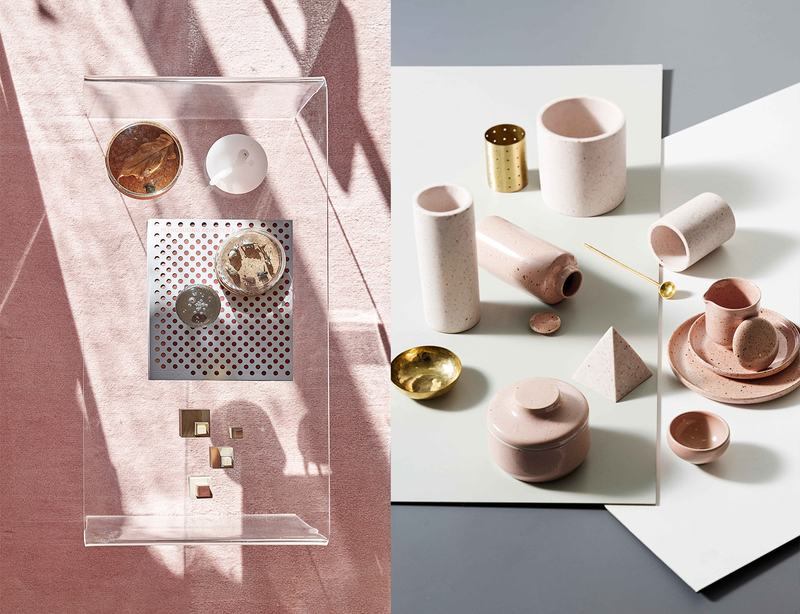 Blush, rose quartz or millennial pink, however you coin it, is being used everywhere. Highlighted by Marc Ange’s Le Refuge at Salone Del Mobile in Milan, which was the most Instagrammed installation of the event. A huge achievement with over 20,000 exhibitors. The Stabile side table by Max Enrich adds clean minimalist lines to soft pink tones, avoiding turning the space into Barbie’s dream house. Add transparent elements in furniture and accessories, the Flower Vase by Marimekko or Gala Coffee Table by Habitat. Be bold or subtle, your choice. Introduce a feature wall in the bathroom with Techtile’s Concept Three: Nordic, a hexagonal mosaic tile with varying textures - use as an accent on the shower or bath wall. Above: New players to the game, Zakkia. A young Australian homeware brand, supplied in the UK by online store Trouva. 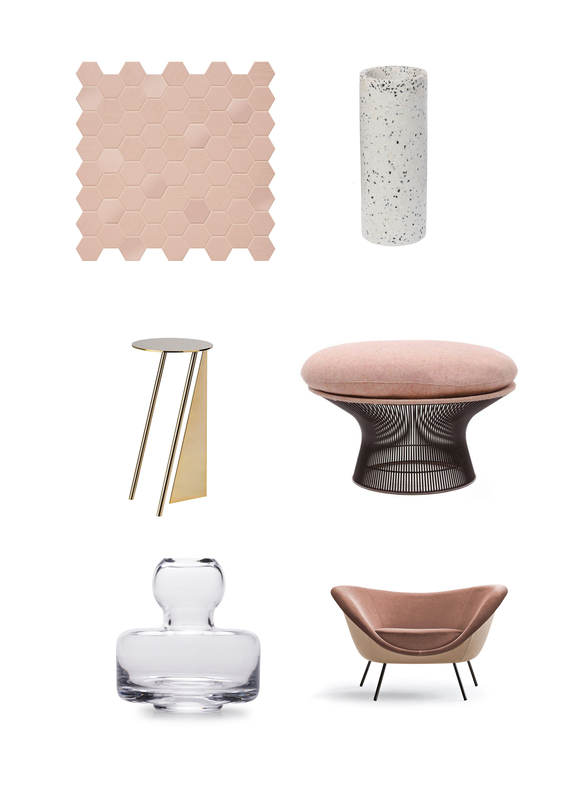 Pair pink with on-trend terrazzo for two trends in one, use white terrazzo for contrast. With a combination of brass and black accents, add warmth, statement punches and bring the hue into Autumn/Winter. (Left to Right) Concept Three: Nordic Collection (Decor-A-CCH102) by Techtile London, Tall Terrazzo Pot Vase by Baruch, Stabile by Max Enrich, Planter Ottoman by Knoll, Flower Vase - Clear by Marimekko, D.154.2 Armchair Gio Ponti by Molteni&C.